Search for clues and recover the Queen's stolen Hope Diamond. "Has great graphics and varied music throughout -- typical of Mystery Case Files games. This one is a real winner! Many great puzzles and lots of objects to find in many different locations." 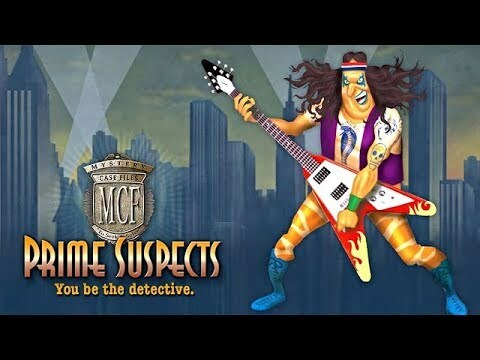 Let the super sleuthing begin in this Mystery Case Files sequel. The Queen's Hope Diamond has been stolen. It's up to you to search for clues, find the offending culprit, and recover the stolen gem. Expand your investigations through the game's 29 unique locations by finding items that will unlock subsequent levels. Thousands of clues are cleverly hidden within the beautiful illustrations, creating a new game each time you step into this visual masterpiece. I Just love this game! I love all hidden objects and puzzle games and this one is a true classic! I spent hours captivated by this game. Really enjoyed it! I would definitely play the other games in the Mystery Case Files series. I love MCF games! The graphics are excellent and the variety of mini-games make it even more fun. Highly recommend! Love this Hidden Object game. Objects are cleverly hidden. The timed mini puzzle had me scrambling. Great game.